The Indiana School for the Deaf was the first state school in the U.S. to offer a free education to students with hearing impairments. The first century of Indiana statehood brought county poor houses, where people with disabilities were among those housed. 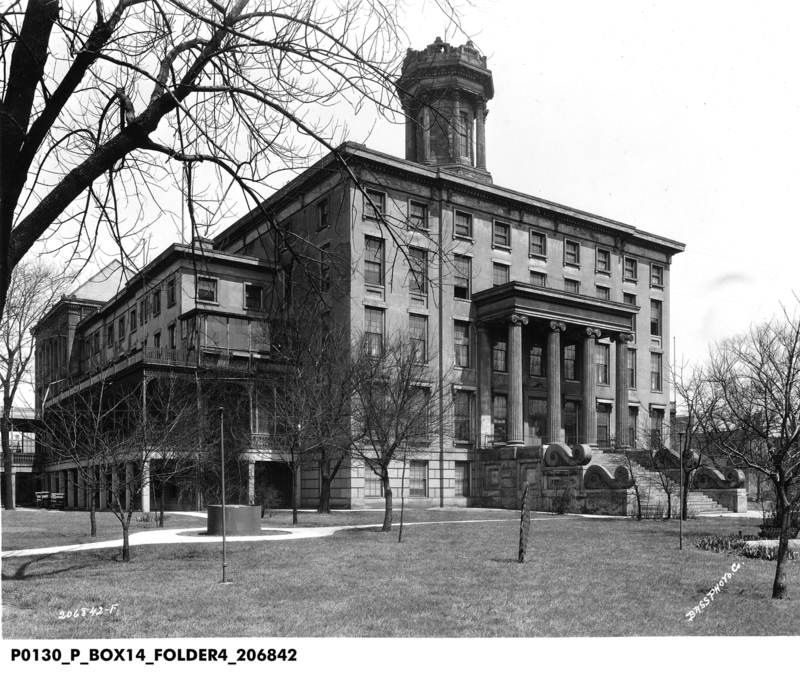 Legislation established a Hospital for the Insane (later Central State Hospital) in Indianapolis. An Asylum for Feeble Minded Children in Fort Wayne was one of the earliest institutions of its kind in the nation. Two state-supported institutions with educational, rather than custodial, missions also opened their doors by 1847: The Indiana Institute for the Education of the Blind and the Indiana Asylum for Deaf and Dumb. The latter was the first state school in the U.S. to offer a free education to students with hearing impairments. These institutions are still open today, known as the Indiana School for the Blind and Visually Impaired and the Indiana School for the Deaf.